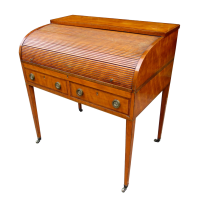 An Outstanding Richly Figured West Indian Satinwood Cylinder Bureau of Exhibition Quality, firmly attributed to Furniture Makers Gillows of Lancaster. 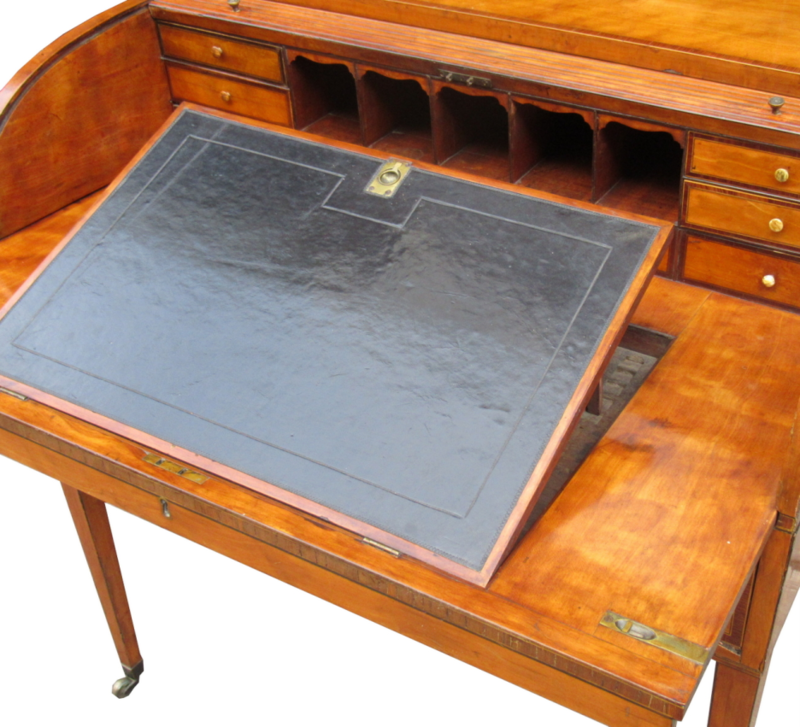 The tambour shutter enclosing a fitted interior with various pigeon holes and four small drawers and four dummy drawers all with Ivory pulls above a pull-out writing surface with central rising book-rest. 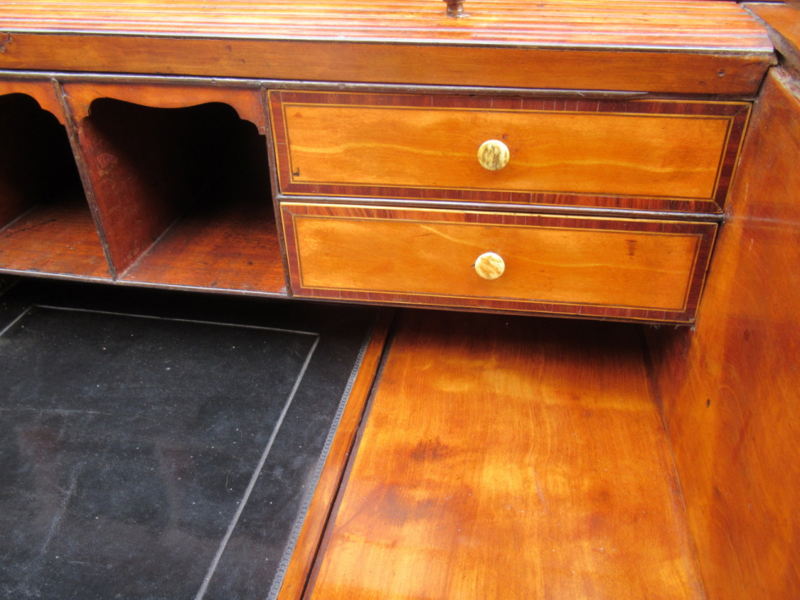 Below are two drawers fitted with original brass handles. Standing on square tapering legs with original brass cap castors and inlaid throughout with rosewood cross-banding and box wood stringing. 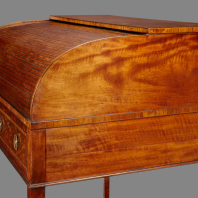 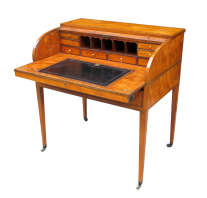 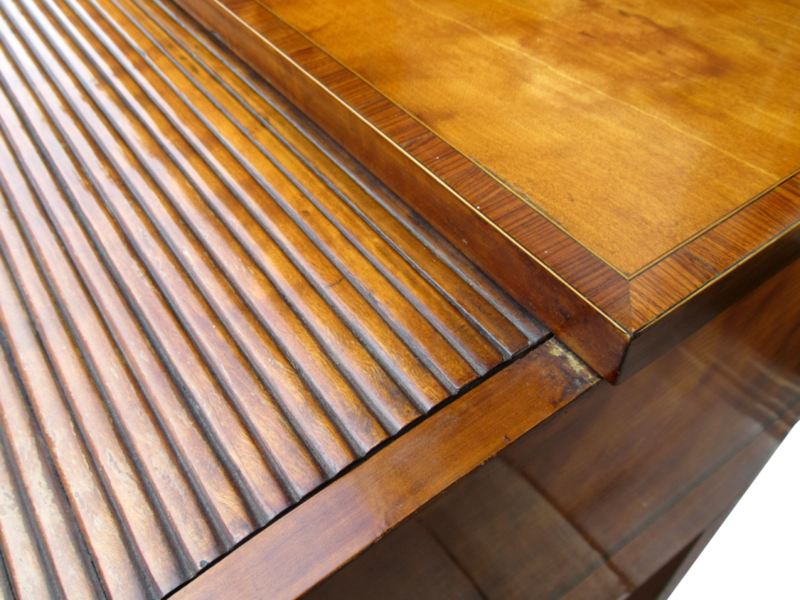 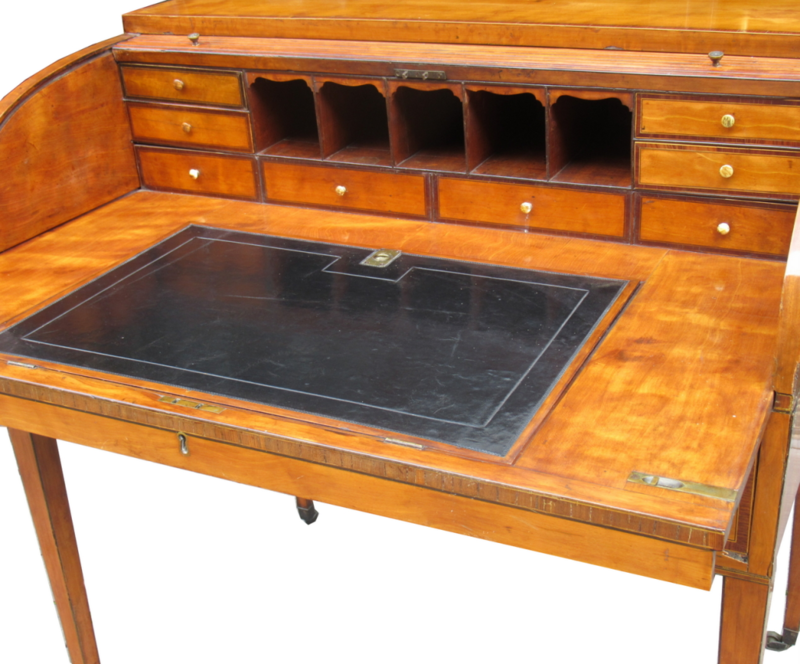 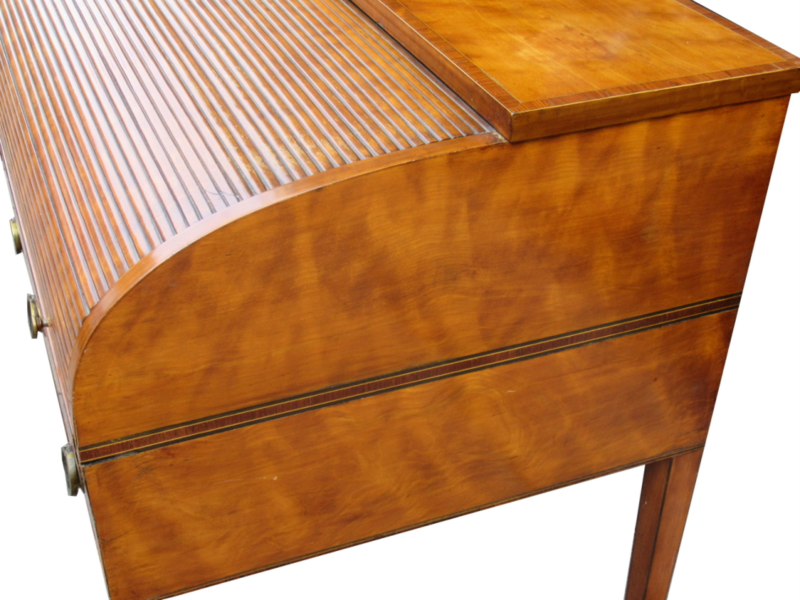 This desk is constructed in the finest West Indian Satinwood and remains in remarkable condition. 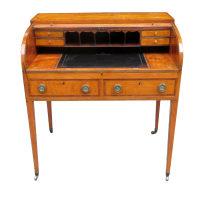 Condition: Superb condition for such an early piece, retaining a very good original colour and surface throughout. 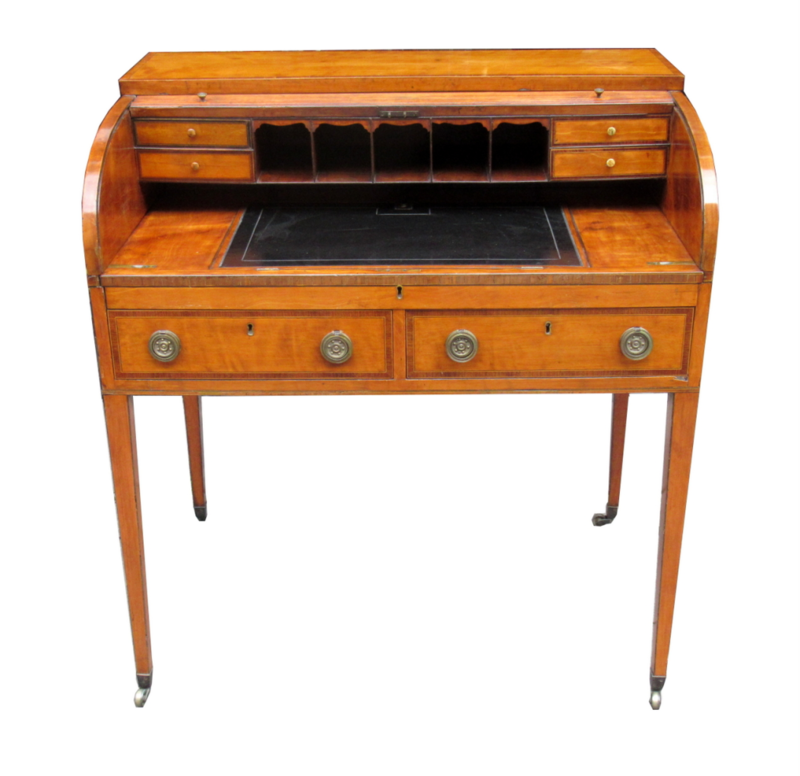 Professionally restored with original leather and brass handles. 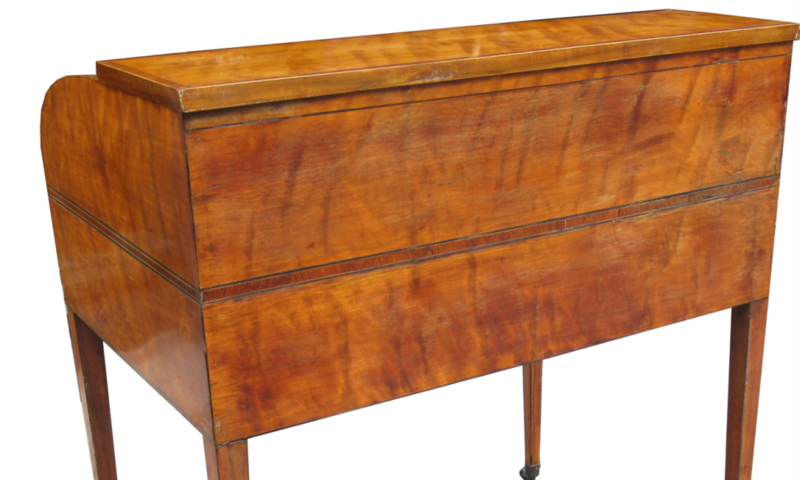 Height: (at center back) 39.5” (100cm). 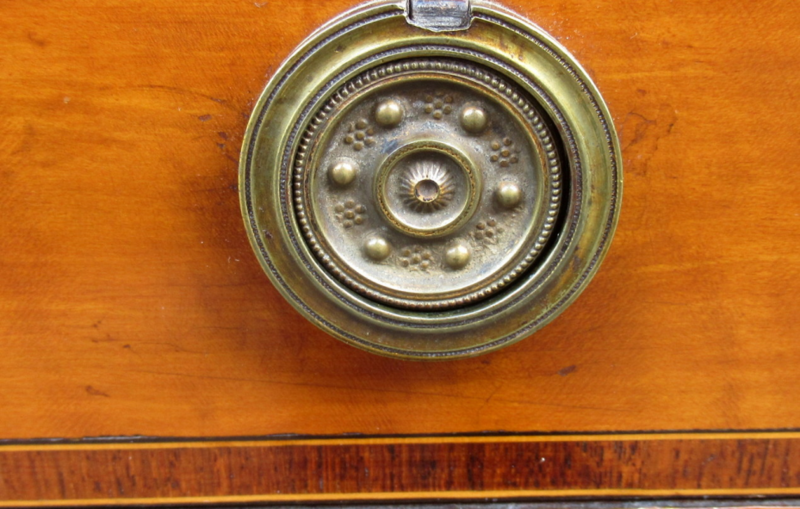 Width: 36.5” (93cm). 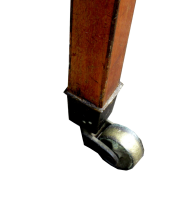 Depth: 24.5” (61cm).